Don't miss the opportunity to be the first to see this beautifully landscaped, well maintained home that demonstrates the true example of beautiful San Diego living. 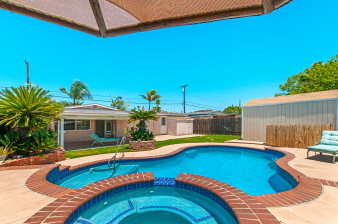 Home includes a gorgeous newer pool, a master suite, and a incredible central San Diego location. Seller will entertain offers between $599,000 - $619,900.